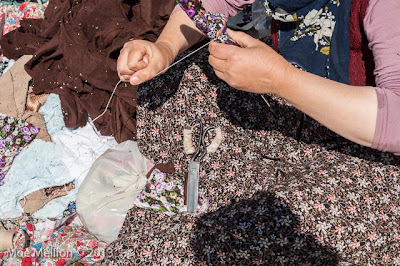 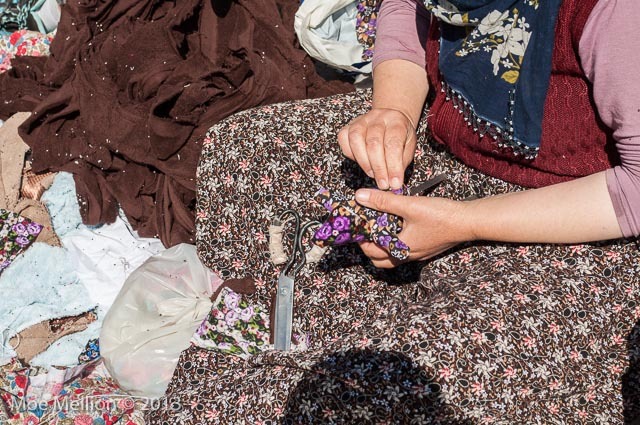 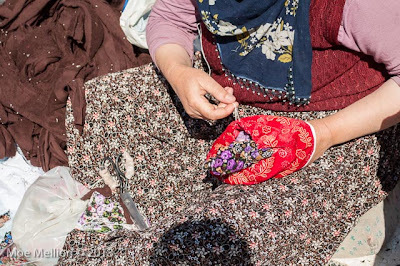 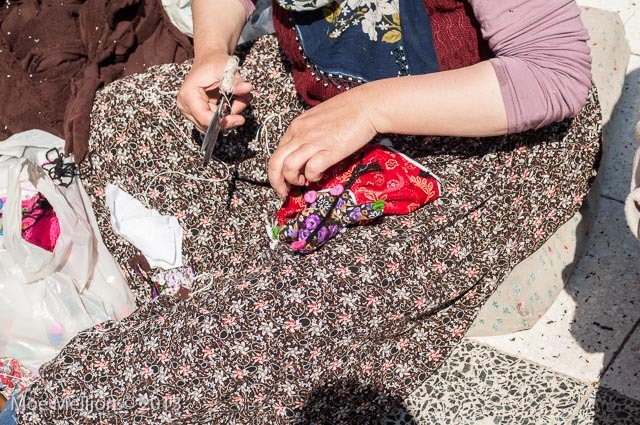 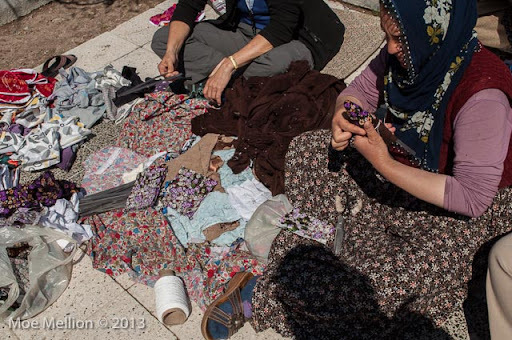 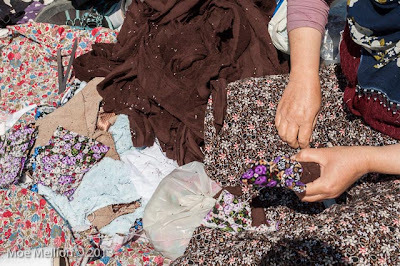 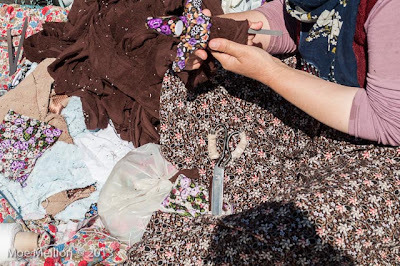 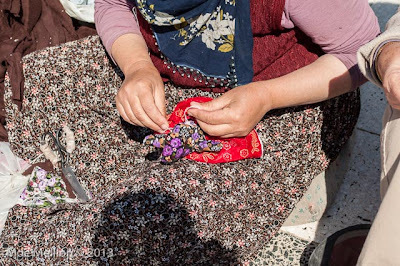 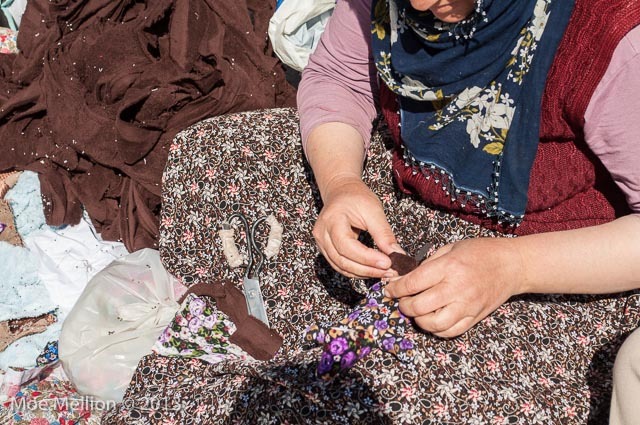 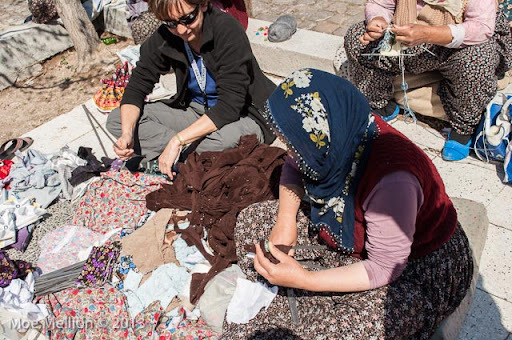 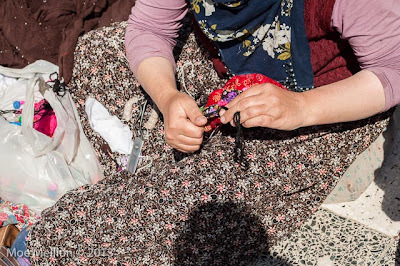 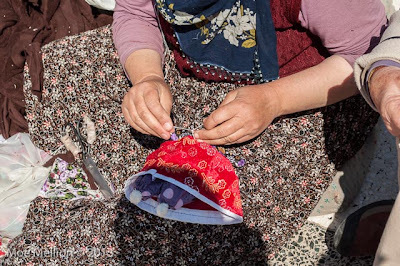 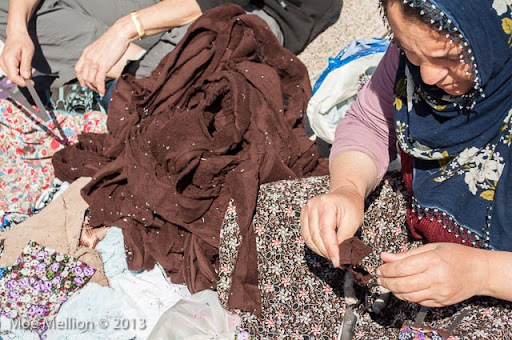 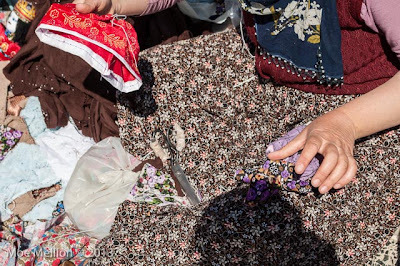 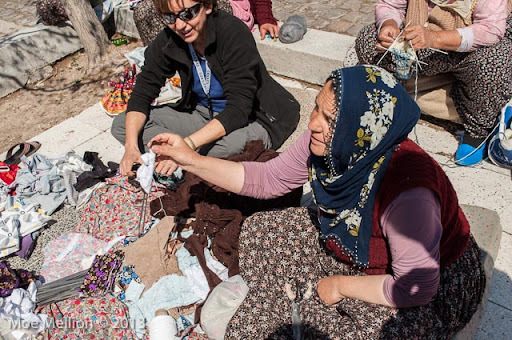 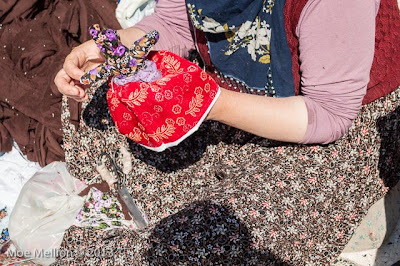 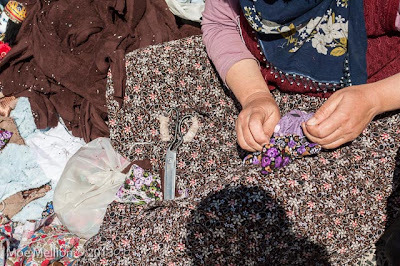 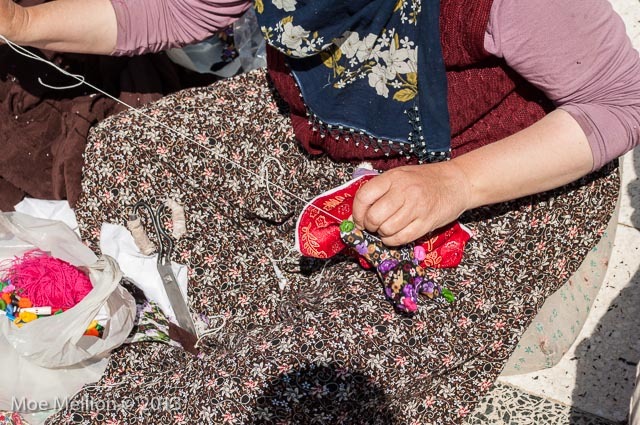 A few days ago Nurdan, our guide, took us to an open area in Soganli, Turkey, where about a dozen Turkish women were making small, traditional dolls and selling them to tourists. 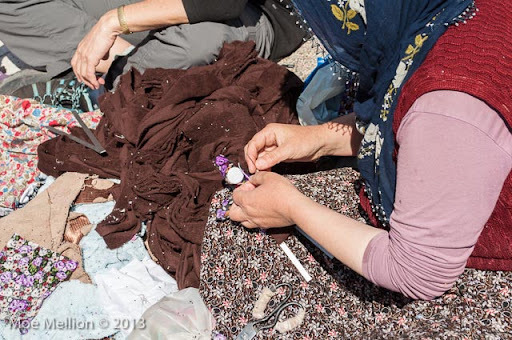 She sat down next to one of the doll makers, who agreed to assemble a doll for us on the condition that Nurdan would draw the face. 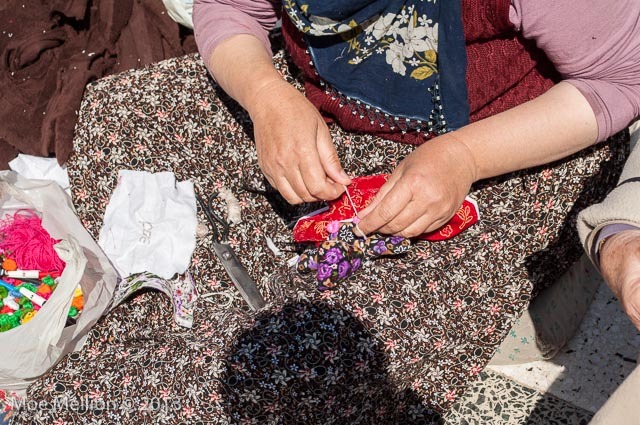 Nurdan is holding a small pair of metal strips join at one end, which serve a a doll frame. 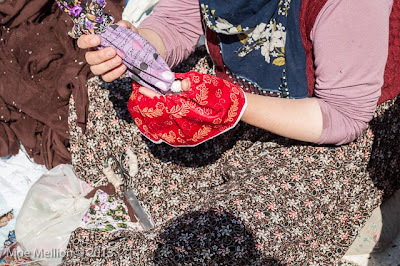 The doll maker has already started making the doll's head on another frame. 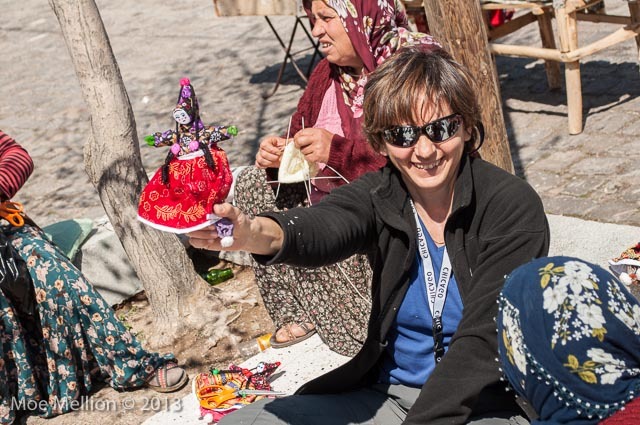 Here, she shows it to us. 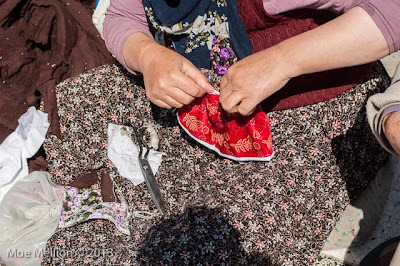 Now, she begins on the upper body. 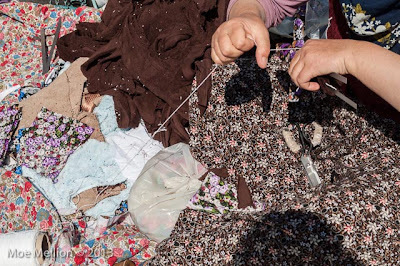 The brown material is stuffing, and the patterned material is the jacket. 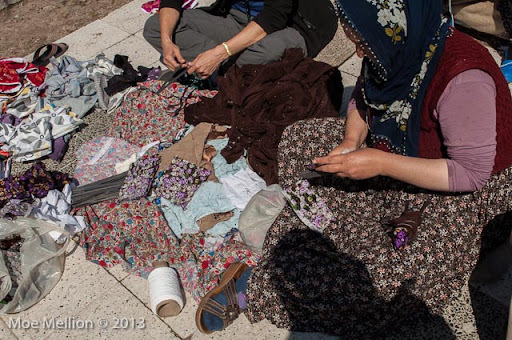 Here she begins work on the lower body. 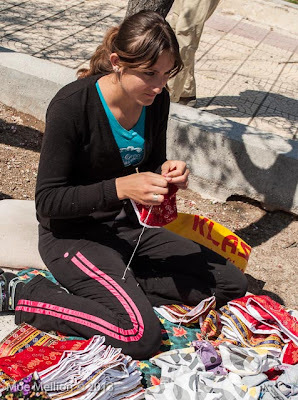 This young woman sitting nearby is preparing a stack of red skirts for the dolls. 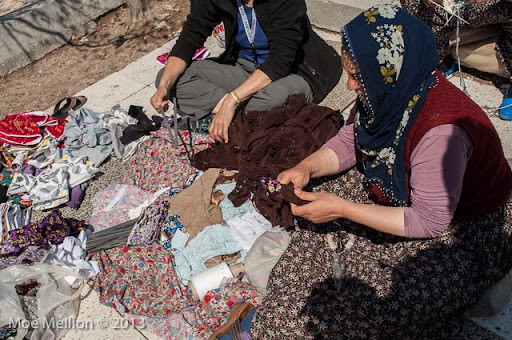 The older woman takes on of the skirts and attaches it. When the doll was almost finished, she gave it to Nurdan to draw the features of the face.